The Finest Police in the World. We're the finest police in the world. 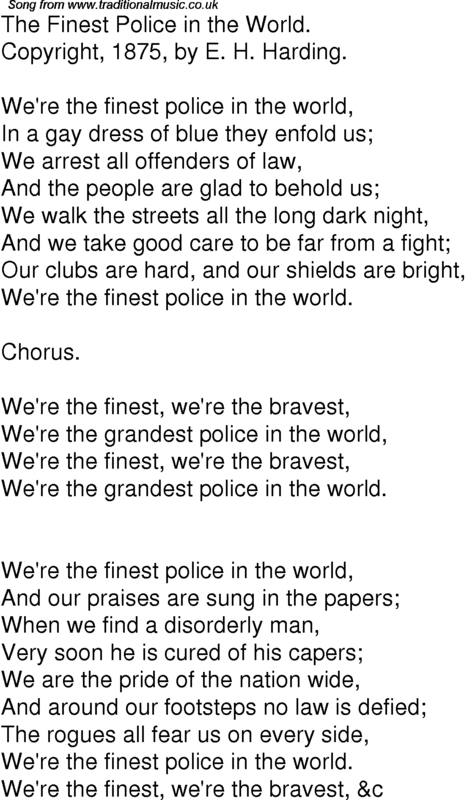 We're the grandest police in the world.